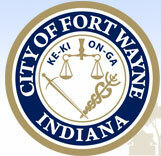 The City of Fort Wayne, working with community partners, recently updated its downtown plan. The Blueprint Update reviews recent successes and sets and action plan for further downtown redevelopment. For past plans, please visit the Plans/Studies page.